The missing MH370 airplane tragedy is something that people around the world are familiar with. One of the reasons this remains an unresolved mystery is that there is no data available on exactly what happened. All data was stored on the plane in what is commonly called the black box. Now, a company in Singapore is trying to find a solution to this problem and makes sure that the same problem does not recur. An obvious solution to the problem of missing data is that information can be transmitted to the ground, where there may be a backup. However, the pilots are against this move. According to a Blockmanity report, BlocBox, a company based in Singapore, has found a solution that can serve the interests of the aeronautics industry and be accepted by pilots. Blockchain technology can be used to encrypt data and this data can be transmitted and stored at a predetermined location using satellites. The outgoing equipment that is used on aircraft to record data can continue to be used. No manual intervention will be necessary to interpret the data. There will be an IT algorithm that will detect problems, such as increasing the stress levels of pilots and other crew members, transcribing the voice recordings. Thus, an alert can be sent immediately to the affected persons if a problem is detected. BlocBox CEO Kenny Koh believes that blockchain technology and data analysis can bring about a "paradigm shift" in the transport sector. Koh added that the use of such technologies can be "truly revolutionary". The use of new technologies can certainly help you get enough information about the tragedies to make sure they do not repeat. Currently, if an aircraft like the MH370 crashes into the ocean, all the data drown together with the aircraft with little hope of retrieving any information. 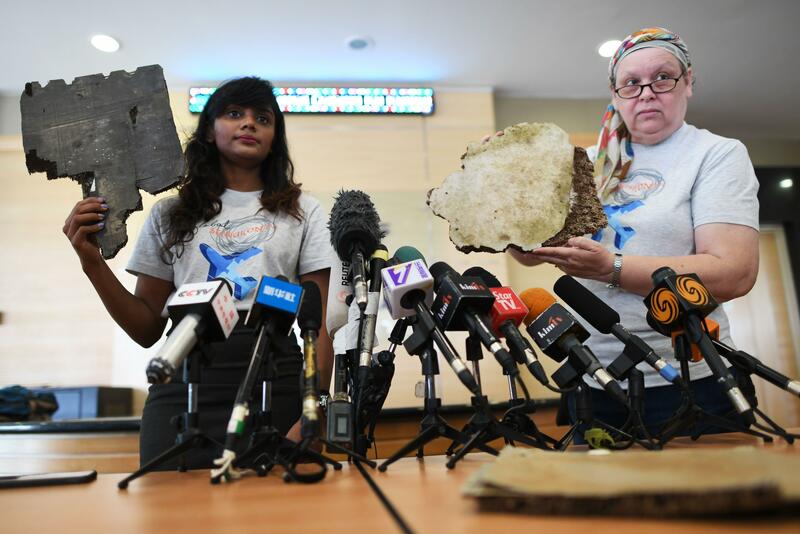 According to Fox News, five pieces of debris believed to be from the MH370 have been delivered to the authorities recently. The families and relatives of the people who were on that plane asked the officials to resume the search. The MH370 flight was arriving from Kuala Lumpur to Beijing on March 8, 2014. There were 239 people on board. According to a Telegraph report, the five pieces of debris from an aircraft were found by the villagers in Madagascar. The Malaysian government is ready to start the search again if there are credible contacts.